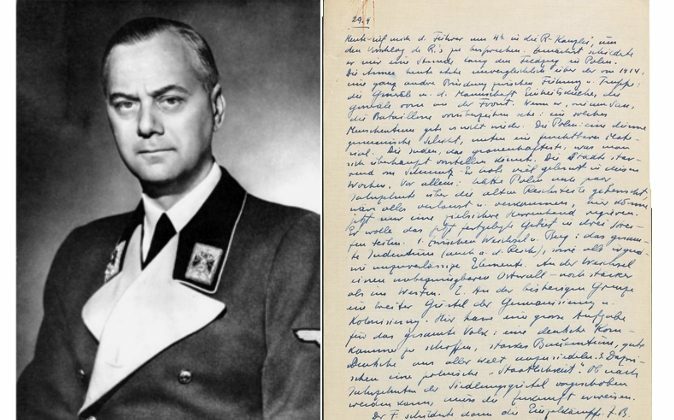 Alfred Rosenberg and his diary. This is the page from 29. 9. 1939, 28 days after World War II. broke out. (Epoch Times; German Federal Archive and USHMM screenshot). The diary of Alfred Rosenberg, leading Nazi theorist and adviser to Adolf Hitler, provides a look at key steps in building the Nazi ideology as well as some of Hitler’s personal thoughts. About 400 handwritten pages of the long-lost diary were recently transcribed (in German only) and published online by the U.S. Holocaust Memorial Museum. The diary changed hands a couple of times after Rosenberg was found guilty of crimes against humanity in 1946 and hanged. It was recovered at the home of publisher Herbert Richardson in Lewiston, N.Y., on June 13, 2013. Many of the entries, dated from 1936 to 1944, became available on Tuesday on the museum’s website. 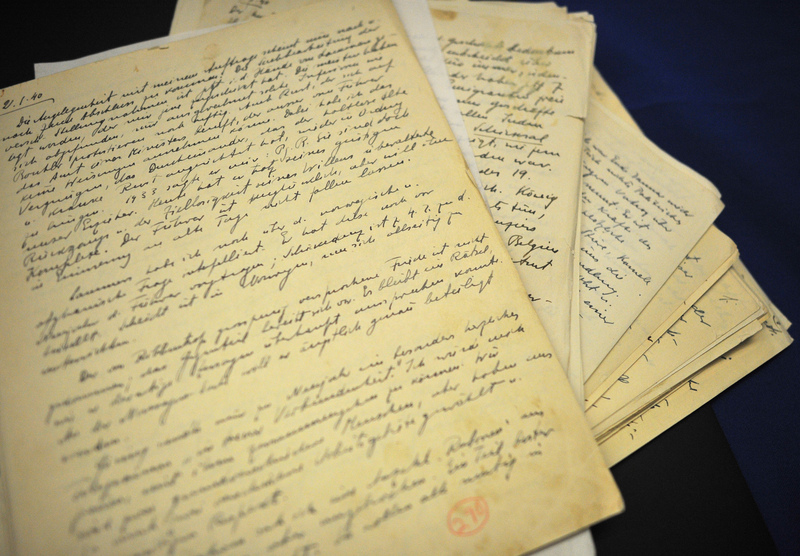 Epoch Times reviewed dozens of pages detailing daily affairs in the upper echelons of the Nazi regime, to distill some of the insights found in Rosenberg’s diary. Rosenberg played a key role in forming Nazi theories on racial supremacy and he wrote in the diary about forming a new religion, a religion of “self-assertion.” Hitler even called him “the church father of National Socialism,” as Rosenberg himself recounted. The entries flesh out and complement his book, started in 1917 and published in 1930, titled “The Myth of the Twentieth Century.” He wrote in this book about a “religion of the blood”; such passages in the book were used as evidence against him and included in an indictment, published by the Cornell Law School. Though Rosenberg was devoted to Hitler, he did have a different opinion on how Russia should be handled. Rosenberg felt a united Russia should be avoided. He envisioned smaller states acting as a buffer zone, isolating the Great Russian state, which could otherwise gain strength and become a threat. The diary continues through Nazi milestones large and small. Some of the minor events come together to paint a picture of a Nazi regime confident in its lasting reign.